One of my favorite things about fall is the great opportunities for layering. 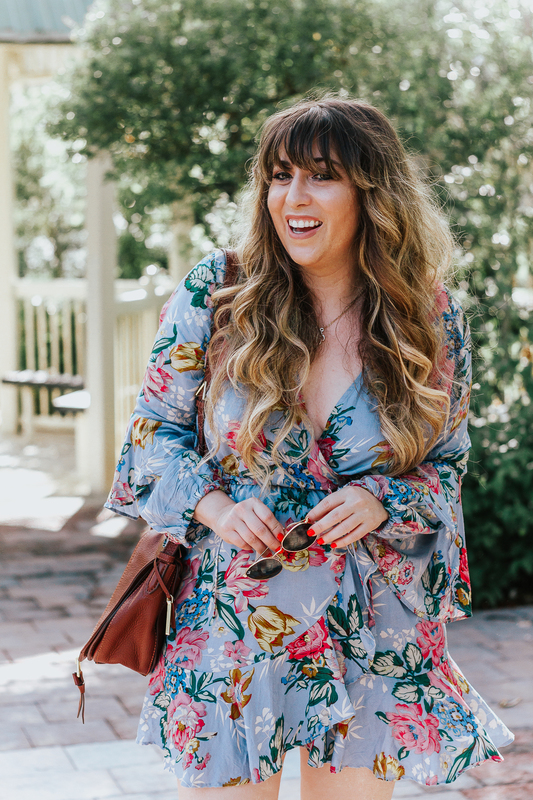 For some reason, I’ve always felt like an outfit is incomplete with less than 3 pieces… unless one of them is a dress, of course! Top, bottom, outerwear; that’s just what feels normal to me. The perfect jacket just feels like it finishes the look. Stocking up on great jackets is one of the key ways to build up your fall wardrobe. 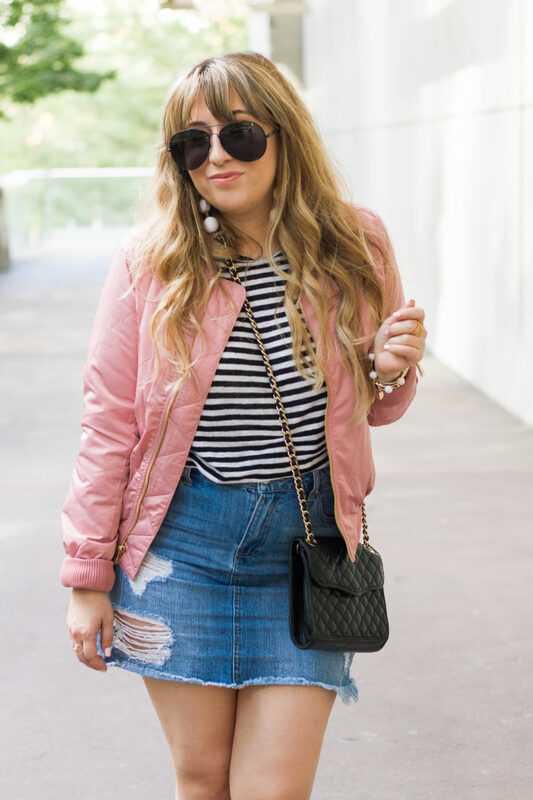 This pink bomber jacket is so fun and fresh for the new season. You know I’m just mad for pink in general, so a pink jacket? I’m sold. The bomber is under $50 and also available in black and olive! You can snag it 30% off today with code HURRY. It’s down filled, so it will totally be warm enough for the cooler months as well, especially if you layer over a sweater… yet still lightweight. Pairing pink with black and white is one of my favorite color combinations. (You may remember this similar look from last year in Boston!) For Atlanta, I swapped out jeans for a skirt and a cozy cardi for a fun bomber.